Locks and keys both require maintenance for them to avoid breaking and perform smoothly. It’s very important to take care of your lock and keys if you want to keep them in great shape. Fortunately, there are many ways to make these things last longer, and if you are looking for one, then you’ve come to the right place. Below we have provided some ways that will allow you to maintain your keys and locks. Let’s not wait any longer and proceed below! Extreme temperatures can cause lock issues, and you should watch out for that. Very warm and cold temperatures are bad for your lock as the metal of your lock’s mechanism to contract or expand. Fortunately, you can keep your locks safe even in extreme temperatures by simply lubricating them. It’s very important to keep your locks lubricated at all times. This will allow you to easily and smoothly turn the key no matter the temperature. Make sure to lubricate your door locks at least once or twice a year to keep them working properly. When the key is inserted into the lock and it is turning a little bit or not turning at all, don’t and never push the key too hard or force the key to turn in. Forcing the key to turn might bend and break the key as well as bend the metal of the lock. You can try turning the key gently, but make sure not to force it as this is bad for both the keys and locks. After all, you can always disassemble the lock if you can. If not, better leave it to the professionals instead. If you want to maintain your locks, then better maintain your keys as well. A dirty key could harm your locks. If you’re opening a door with a dirty and grimy key, debris and dirt could break into the lock mechanism and cause damage. It is crucial to keep your keys clean at all times. You can achieve a dirt-free key by wiping it down at least once a month and not storing them in places or area where they can collect grime and dirt. Follow the tips above and you should be able to keep your locks and keys in tip-top condition. These tips will make it possible for your keys to last for the long term. When it comes to considering your home’s safety, it is important to make sure that all your locks are working properly and in good condition. Fortunately, there are different types of locks that will allow you and your loved ones to be at ease and away from potential dangers such as intruders and burglars. To make it easier for you to protect your property and family, below are some of the best locks that can help improve your security and safety. Let’s not wait any longer and proceed below, shall we? Portable locks are easy to install. In fact, you can set it up within just a few minutes even without using any tools. These locks are commonly constructed from steel, so there’s no doubt that they are pretty durable. It may look simple, but it gets the job done very well in terms of keeping your home safe and away from threats. 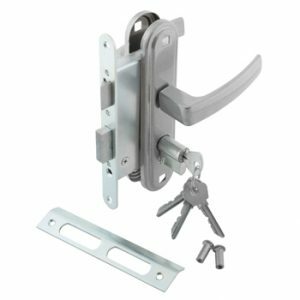 Most swing locks are not only durable but affordable as well. If you’re looking to improve your home security but you are on a budget, then consider investing in swing locks. Like portable locks, swing locks are also quick and easy to install. This act as a backup lock to the primary lock of your door and it allows you to open your door a little bit, enabling you to see and speak whoever is on the other side. While deadbolt locks are often quite pricey, they work exceptionally well when it comes to securing your home and protecting your belongings and family. Unlike other locks, deadbolt locks have solid construction and materials that enable them to withstand medium to heavy impacts with little to no effort. These locks are designed to last for many years and they are definitely one of the best anti-theft locks out there. Digital locks can only be unlocked by inputting the right code. That means only those who know the code can access it. This works best for businesses, but you can also use it to increase the safety and security of your home. However, digital locks are expensive so make sure you have enough budget before you decide to get one. Yes, there are lots of locks to choose from, but only some of them stand out. Above are some of the best locks that can significantly help improve your home’s safety and security. Door locks keep your property, loved ones, and possessions safe and away from potential dangers such as thieves or intruders. But what if your door locks and keys are faulty or broken? Well, that can be a real problem. Fortunately, most lock problems are easy and quick to fix. In fact, you can do it alone if you have the right tools and techniques. Below we have provided some common lock problems and the solutions how to help avoid or solve them. Breaking a key in a door can be extremely frustrating, and it is one of most common locks and keys issues business and homeowners face. Broken keys typically occur when you are trying to rush the securing or opening of the lock. You can avoid this by simply taking your time when you are unlocking or locking the door. This will not only prevent you from the breaking the key in the lock but as well as make sure that the lock is secured properly. There are many reasons why a key won’t insert into the door. In this case, the first thing you should do is to check if you are using the right key. While this may sound obvious, most people make the mistake of opening a lock with the wrong key. If you’re using the right key but the key is still not inserting, don’t force it. Instead, call a reliable locksmith to diagnose the problem in no time. If your lock is not working properly or it is not working completely at all, it’s best to leave this issue to the pros as this is commonly caused by a mechanical issue. While you can remove the lock and try to find the source of the issue, there’s no guarantee that you can fix it by just disassembling it. You can always reach out to a professional locksmith if you are having problems with your locks. Slow door locks are easy to fix. When grime or dirt has gathered in your locks, this issue occurs. All you have to do is to grab a cotton swab and insert it into the lock. This will allow you to collect the dirt inside the lock. If this does not work, try to lubricate the lock. Avoid grease and oil and stick to silicone spray to lubricate the faulty lock. You have two options when your locks break: fix it yourself or call a professional. If you have proper tools and you have an idea how to fix lock and key issues, then that’s great. If not, then better leave it to the professionals. Here some door lock would have a handle along with it that would make your work easy by using that “sash lock”, you can open as well as close the door easily. When you prefer the lock without any handle then you can pick up the “deadlock” and this type of locks are non-deadlocking and normally it would be a pin tumbler rim lock. It is because they would have a well equipped tool for fitting inside it. When everything goes perfect then there would be any damages found in your doors. As well you can feel safe and comfortable whenever you lock and go out and come back. When you just see the mortise lock it would be entirely different when compared to the normal type of locks. It provides the unbelievable durable power and you can abele to find them with in different designs as like the stainless steel and antique to the rustic contemporary designs. Where you can buy and make use of the latest model locks that suits for your pretty doors. What can you do when you found your lock is not functioning properly? You may buy and use the latest and trending Mortise lock 101 but also due to some problem it might had damaged in between. This would put you in hectic situation whenever you open as well as you close your door. If this should not happen in that case you pick up the best locksmith and utilize their services. You can contact them through online within few minutes they would rush up with their team in front of your home. They would investigate the problem and solve them as well they would repair everything and make the situation as like normal always. 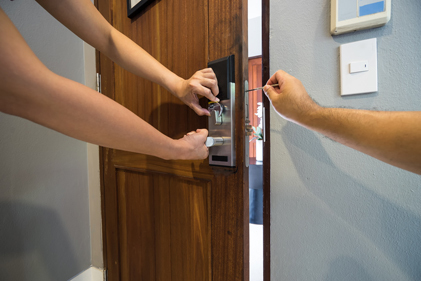 Locksmith is offering highly demanded service that is mostly related to install and maintain different types of the locks system from standard key locks to biometric lock or electronic lock. Common types of the locksmith profession can provide a huge range of service to their clients such as industrial, emergency, residential and commercial. Locksmith has gained knowledge and experience to recommend the effective locks for your property windows and doors. A business or commercial locksmith might be involved with working on the large-sized security system that includes security requires for retail establishments, office buildings or schools. A licensed and certified locksmith undergoes the extensive training and this kind of the training is really useful to fix any kinds of locks. 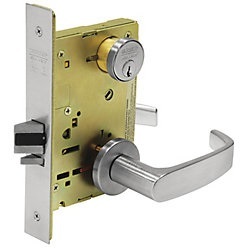 They can provide a huge array of the services such as lock replacement, lock installation, file cabinet locks, electronic locks, cash boxes, door closers and safe combination changes. Some of the locksmiths can perform a wide range of the lockout solutions to both commercial and residential calls. As everyone knows commercial and residential places might use different types of the security system, high-end security products and locks for security of their equipment, materials, premises and items. A professional locksmith can attend any kinds of the residential problems of the locks and they can use only perfect quality of equipment. If you are choosing best locksmith service provider then you can get guarantee service at 24/7. 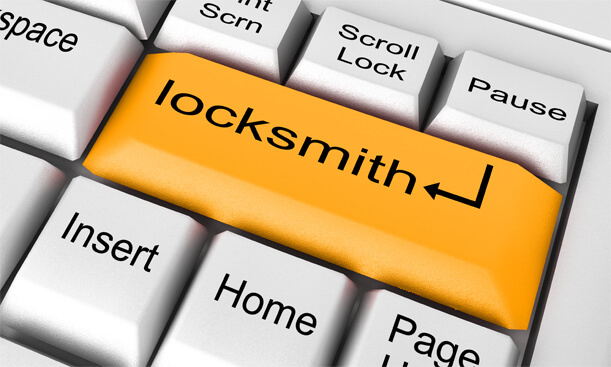 They always come up with the right solution to offer amazing locksmith service. They are having licensed, certified and legally bonded technicians in order to offer you with excellent solutions to your office, home or automobile lock problem at an affordable price. You must choose only professional locksmith service provider because they might only offer amazing service. Everyone must have a safe and secured home. Your home is the safest place in the world for you and your family and yet people are most vulnerable when they are home. We let our guard down and we are complacent. Unless you take some failsafe security measures, you will remain vulnerable. Here are ten simple home security tips that you should endorse and follow up on. Check the locks in your home. Check all the locks and be sure if they are the best you can have. Locks are not a fixture you would invest in every now and then. The best locks will cost a fair sum of money but you are only investing in them once, perhaps in decades. If you have locks that are easy pickings, replace them today. Do your locks have great keys? The quality of the keys depends on the locks but there are some keys that cannot be duplicated very easily. You must have such keys. Whenever you hand over your keys to some contractors or even your neighbors, friends and relatives, get the locks rekeyed or the keys changed. You never know who had gotten access to the keys and have had them duplicated. Have different locks and keys for different gates, rooms and fixtures in your home. Do not have the same type of locks and keys. It will make the job of an intruder or trespasser really easy. Always have a state of the art home security system. It could be a door alarm, a video surveillance unit or a combination of both and you may also get motion sensors. Always have a strong main gate, a failsafe garage door and all doors as well as windows should be very sturdy and durable. We often focus on locks for the doors but not windows. Have locks for windows. Always have adequate lights, not inside your home but outside. The interiors are of course your prerogative. It is dark outdoors that invite intruders. Negate blind spots in your yard, backyard, lawn, garden or driveway. Do away with large bushes that may offer refuge to intruders. Have a safe. You don’t need to have a priceless jewel. Even if you have a stack of cash, some expensive gadgets or some precious items, they must go into the safe, which should not be portable. Always consider home automation systems with remote access. It is absolutely natural for any homeowner or individual to be forgetful. Being forgetful time and again will compromise your home security.